Admiral’s B & B is under new ownership and will be operating year round. 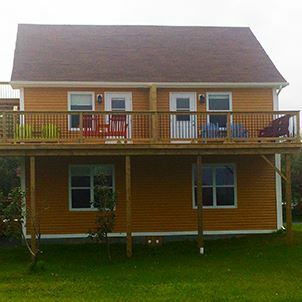 We are ideally located near the center of Twillingate and within walking distance to many amenities. Including: Twillingate/NWI Dinner Theatre, boat tours, whale watching tours, hiking trails, restaurants, craft shops & galleries, entertainment & much more. Sit out on the patio & enjoy the most spectacular sunsets and a view of the ocean. Our newly renovated home is bright, clean and offers a relaxed atmosphere as well as being smoke free. Our sound proofed rooms that are named after whales common to Newfoundland offer the elegance, class and comfort you have been looking for. All rooms are based on 2 person occupancy. Self-check-in is between 3 pm - 6 pm, unless arranged in advance and check out is at 10 am. Our cancellation policy is 72 hour notice. We look forward to making your visit a memorable experience.